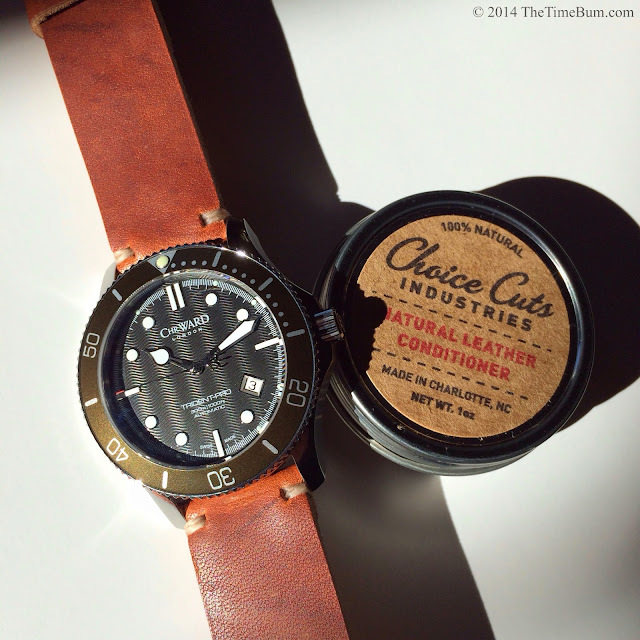 Allow me to introduce my new favorite strap: the two-piece, Horween Dublin leather, minimal stitch from Choice Cuts Industries. Yep, I just said that right up front. No waiting to the end of the article. No hinting along the way. It is just that good. Now go buy one. What's that? You want more details, maybe a picture or two, and some of The Time Bum's keen insight before you part with your hard-earned cash? Fair enough. Allow me to tell you why this strap is just plain awesome. 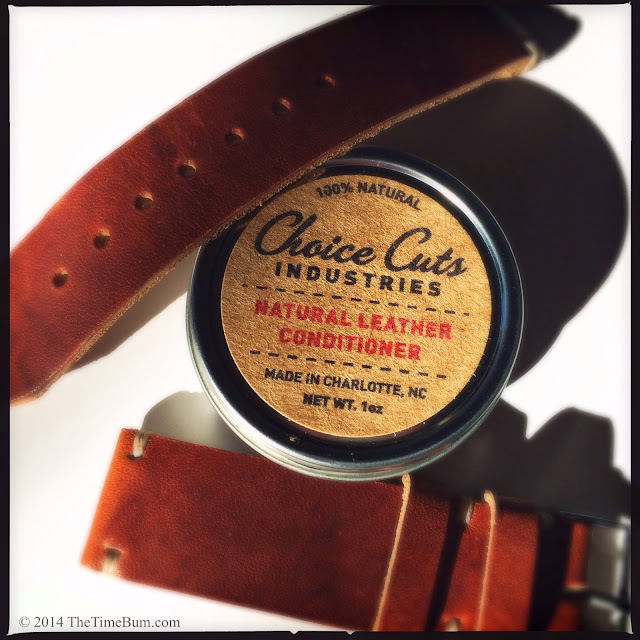 Choice Cuts Industries is an Etsy online storefront selling small leather goods. 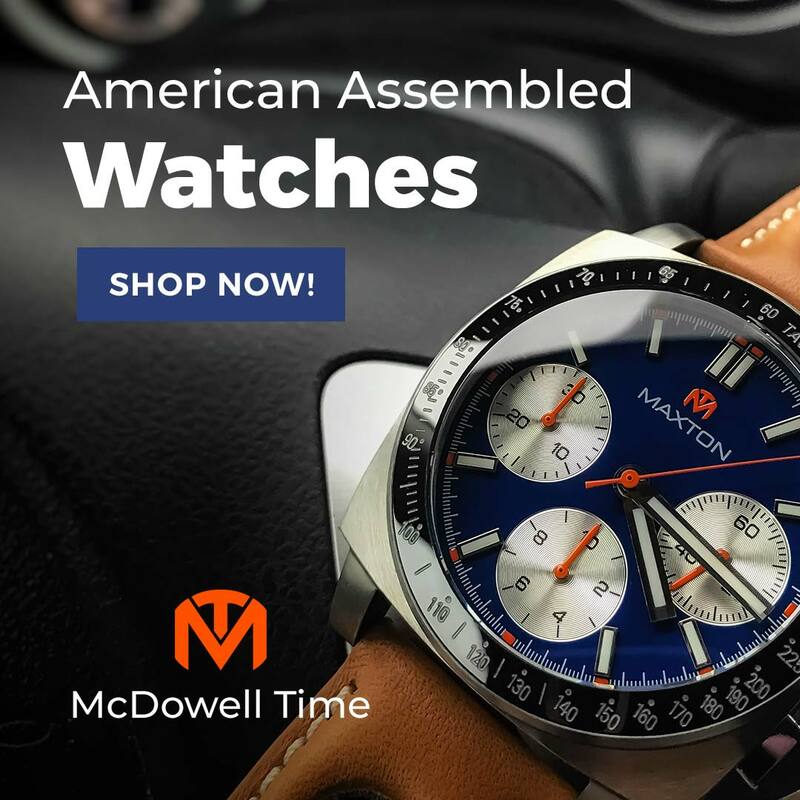 All products are handmade by Joel Mills, an artisan in Charlotte, North Carolina. Joel uses top quality Horween leather, which is tanned and dyed in Chicago, Illinois, just as it has been for the past 100 years. 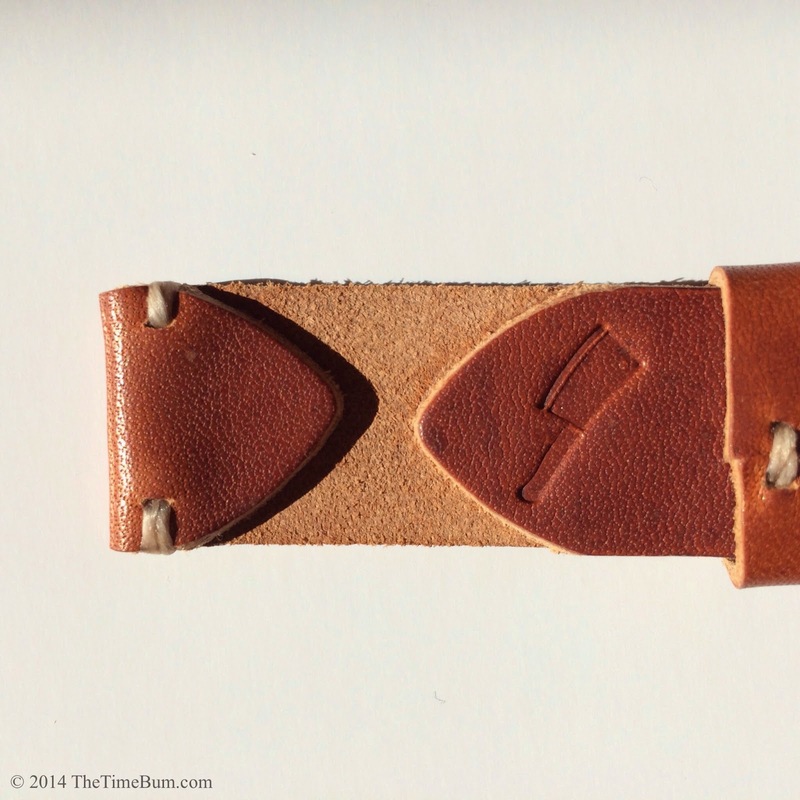 He offers several styles, but for this review, Joel supplied a 22mm, straight cut, two-piece, Horween Dublin leather strap with leather keepers and a thumbnail buckle in the minimal stitch style, which has just two stitches on either side of the strap near the lug ends, and four at the buckle end. 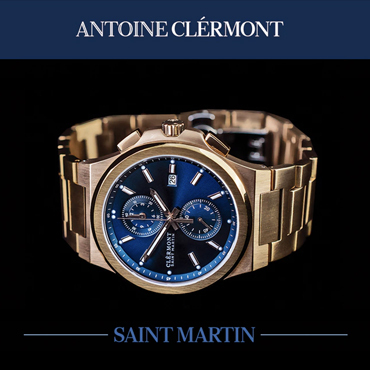 It is a classic look, and immensely popular in the watch nerd world. Several enthusiasts have asked me where to get straps in this style. 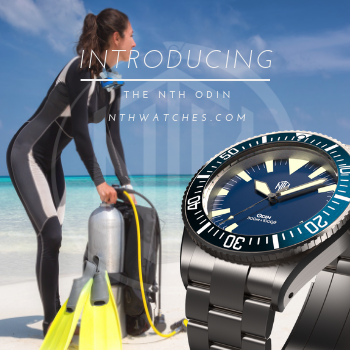 The standard two-piece strap is 75/120mm. It fits my 6.5" wrist on the third tightest adjustment hole without leaving an unruly length of tail. The Horween Dublin is thick yet pliable, with a wonderful orange-brown color that displays a pronounced pull-up lightening effect when bent. 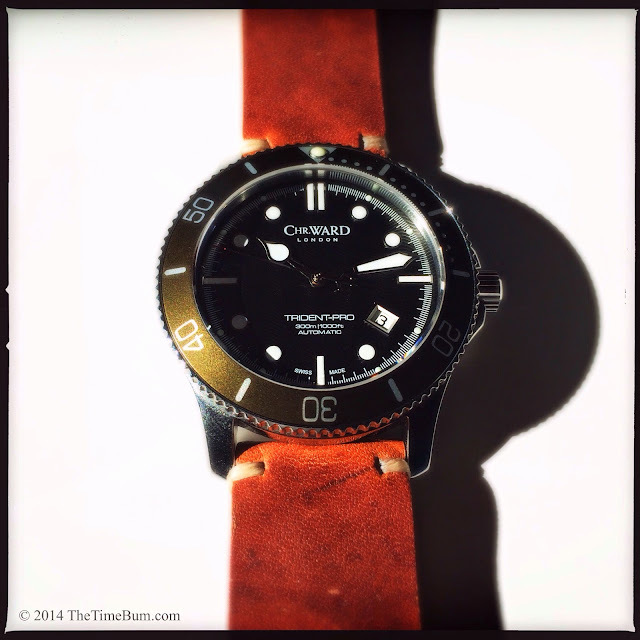 The surface bears minor imperfections, in keeping with the vintage vibe of the strap. The two natural color stitches on either lug end provide just the slightest bit of contrast to the leather and telegraph the handmade nature of the piece. Turning the strap over, you will find the folded tabs are neatly trimmed and glued. It exhibits care, but not machine made precision. The short end bears the Choice Cuts mark, an embossed image of a meat cleaver. The packaging is simple and attractive. The strap arrived in a stamped Choice Cuts pouch with a hang tag attached. A small tin of conditioner was also included. 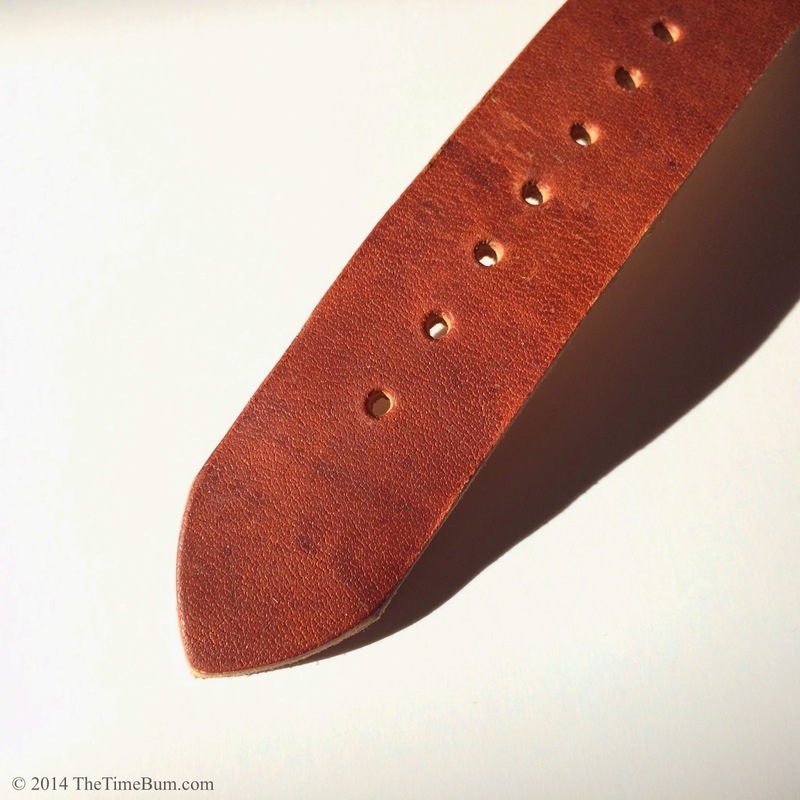 After consulting with Joel, I realized there was little benefit to be gained from conditioning a brand new strap, so I gave it a try on the Grant's undyed, natural vegetable tanned strap I had been aging. The conditioner livened up the dry leather, restoring pliability without altering the color or leaving a greasy residue. Just a bit worked into the strap every few months should keep it looking its best, and prevent cracking as the years wear on. 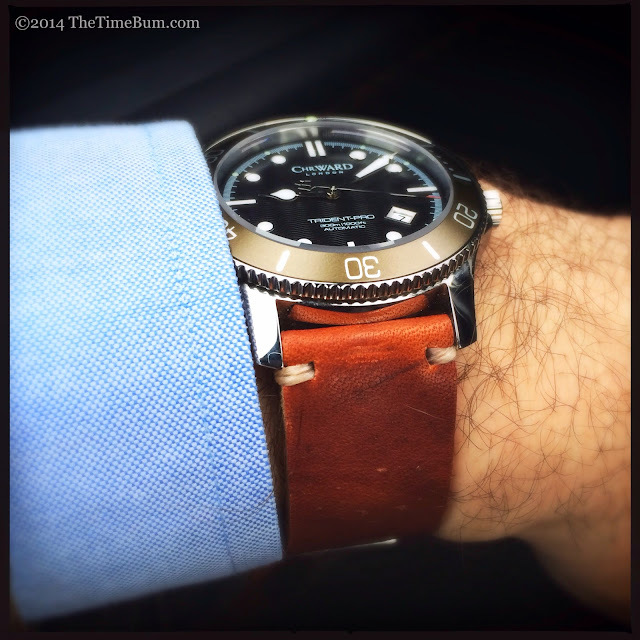 A minimal stitch strap in a top quality leather will go a long way with a good watch. I gave it a spin on my Christopher Ward C60 and reveled in the way the reddish tan hues of the leather played off of the olive bezel. It was an excellent pairing with a bronze Halios Tropik B as well; thick enough to carry the tall case, but not so much that I couldn't fit it under a short cuff. The unfinished edges and lack of taper make it more of a casual choice, perfect with jeans on the weekend. I would not wear it with a suit, but it looked smart under a tweed blazer with a knit tie. Each strap is made to order, so a range of customization is available. 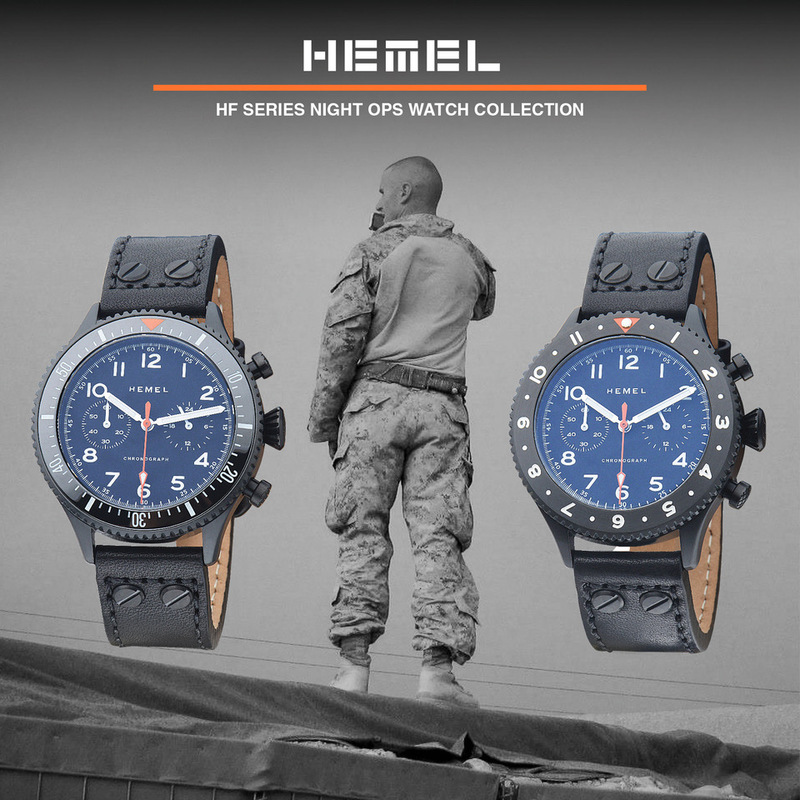 In addition to your choice of leather, thread, and size, you may opt for leather keepers or steel NATO and Zulu style hardware. One piece straps are also available. They cost $55 plus $4 shipping in the US. So, what are you waiting for? Joel is doing great work with premium American leathers for an excellent price. Choice Cuts can be found on Etsy, with additional images of new leathers and custom work on Tumblr.